The Credit One Bank® Platinum Visa® for Rebuilding Credit card is best for those with Bad/Poor/Fair credit who are trying to establish or rebuild their credit. There is no bonus for the card, but there is an $0-$99 annual fee. Cardmembers get 1% on eligible purchases, terms apply, including dining, gas, groceries, mobile phone service, internet service and cable or satellite TV service. But with an annual fee that is deducted from the credit limit, higher fees for late or returned payments and a potentially higher APR, there could be other options besides this card. Credit One Bank® Platinum Visa® for Rebuilding Credit cardmembers have an opportunity to build up their credit without having to put down a deposit that other secured cards like First Progress Platinum Prestige Mastercard® Secured Credit Card require. 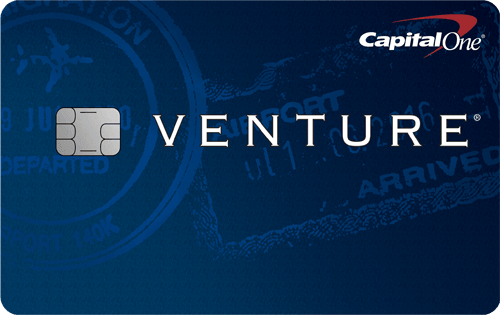 New cardmembers start out with a $300 credit limit and can get raises as they make their payments on time. You get free online access to your Experian credit score and a credit report summary. 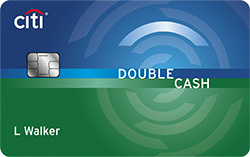 This card and the Discover it® Secured are the only ones in the category that offer cash back on eligible purchases. Fees. The $0-$99 annual fee is deducted from the Credit One Bank® Platinum Visa® for Rebuilding Credit credit limit, which lowers how much of the balance is available for you to spend. It also charges Either $1 or 3% of each purchase in U.S. dollars, whichever is greater. for a foreign transaction fee. If you’re trying to build credit but want a low-fee option, check out some of our suggestions below. Service. Credit One Bank has a great A- rating with the Better Business Bureau. However, it has been cited by the agency for a pattern of complaints when it comes to billing and collection issues. If you’re going to use this card, just be sure to keep tabs on your monthly statements. 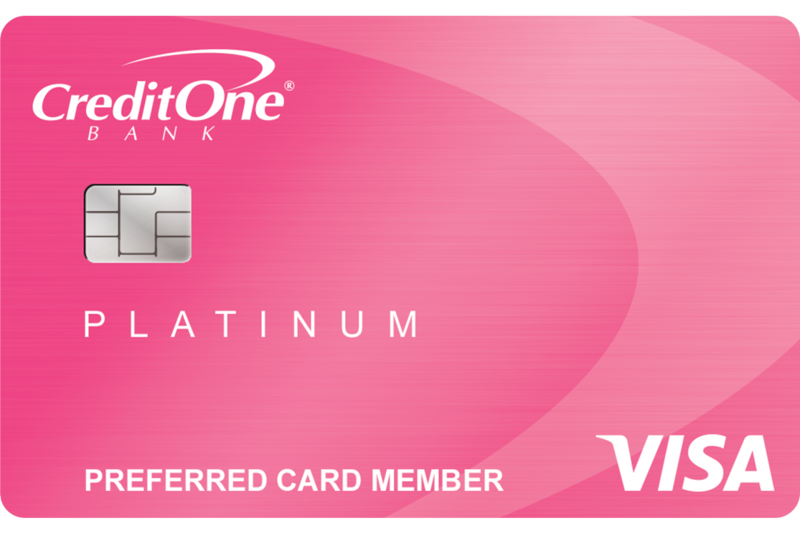 With its goal of helping card members establish or reestablish their credit, the best thing you can do with the Credit One Bank® Platinum Visa® for Rebuilding Credit is to use it responsibly, ensuring that you make payments regularly and on time. These actions can build up a good credit record, which could lead to credit limit increases. This is one of the few cards for those with Bad/Poor/Fair credit that don’t require a security deposit. It’s also one of the few that card members can earn cash-back rewards. The rewards are pretty thin with the Credit One Bank® Platinum Visa® for Rebuilding Credit since it focuses on helping those with Bad/Poor/Fair credit build up their credit score. It does offer 1% on eligible purchases, terms apply, but the real reward here is the ability to get a credit card without a secured deposit. It’s also a good way to rebuild bad credit. 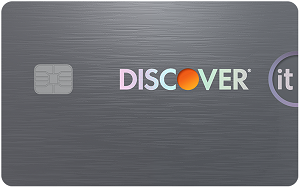 The Discover it® Secured has a $0 annual fee, but requires a refundable deposit based on your credit worthiness, unlike the Credit One Bank® Platinum Visa® for Rebuilding Credit. Like the Credit One Bank® Platinum Visa® for Rebuilding Credit, it’s the only other secured card that offers cash-back rewards. Cardholders earn 2% cash back at gas stations and restaurants on up to $1,000 in combined purchases every quarter, automatically. 1% unlimited cash back on all other purchases. and Discover will automatically match all the cash back you earn at the end of your first year. (38) Over the Past 60 Days! After eight months, the Discover it® Secured will automatically begin reviewing your account to see if it can be moved over to an unsecured line of credit. And you can keep track of your FICO® credit score on monthly statements for free. Rewards 1% on eligible purchases, terms apply 2% cash back at gas stations and restaurants on up to $1,000 in combined purchases every quarter, automatically. 1% unlimited cash back on all other purchases. Sign Up Bonus No bonus Discover will automatically match all the cash back you earn at the end of your first year. If you’re trying to build credit but are looking for a no-fee card option, you might consider applying for a secured card. Secured cards require a one-time deposit, which becomes your card limit. You’ll make monthly payments on the card and so long as you pay on time, you won’t incur any interest charges, and those on-time payments will be reported to the credit bureaus. Another option is a credit-building loan, where you open a CD at a bank and in exchange, get a line of credit. Amounts vary but tend to range from $525 to $2200. When payments are made regularly, the banks will report that activity to credit bureaus, which helps raise your credit score. MagnifyMoney, another LendingTree-owned site, explains how credit builder loans work here. Other options include store credit cards or personal loans. Store credit cards are more likely to approve you if your credit isn’t perfect. But interest rates on store cards tend to be higher and these cards can only be used at specific stores. The key is to use them only as a credit-building tool, charging small amounts and paying them off in full each month. Personal loans can have lower interest rates than credit cards, even for those who have lower credit scores. And your payments will be fixed over a set period of time, so you’ll know exactly how long it will take to pay off your loan. They help your credit score, so long as you make payments on time. If your goal is to establish or reestablish your credit without having to pay a security deposit, the Credit One Bank® Platinum Visa® for Rebuilding Credit could be a viable option. It’s a card for Bad/Poor/Fair credit that lets you earn cash back. If you use your card wisely and make payments regularly and on time, you have a chance to raise your credit limit and improve your credit score. But considering that any annual fee goes toward the initial $300 credit limit and the high annual APR, you may want to consider other options that may cost less, including a secured credit card, a self lender, store credit cards or even a personal loan.